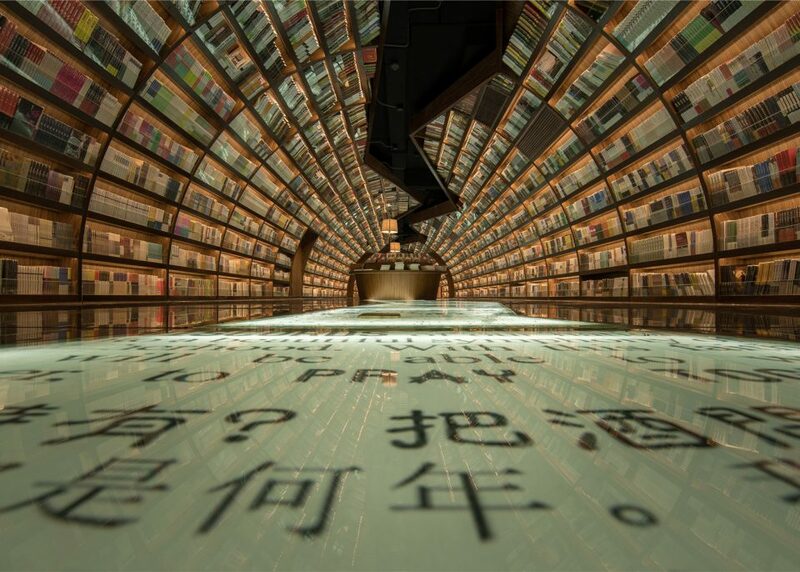 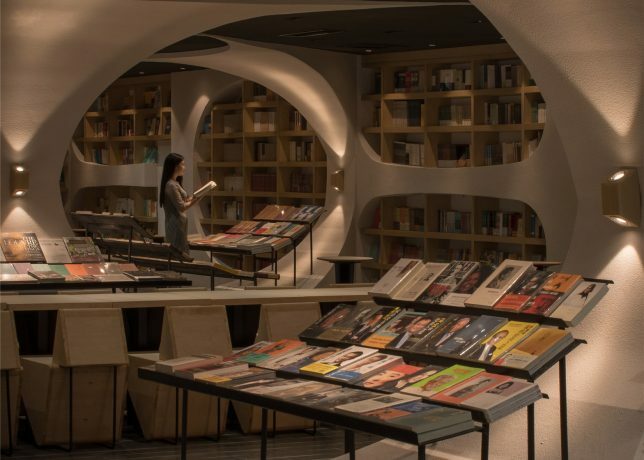 Paired to fantastic effect, a series of arch-forming shelving units and a black-mirrored floor create a wraparound tunnel in a Chinese bookstore, punctuated by a fracture leading visitors through the resulting passageway. 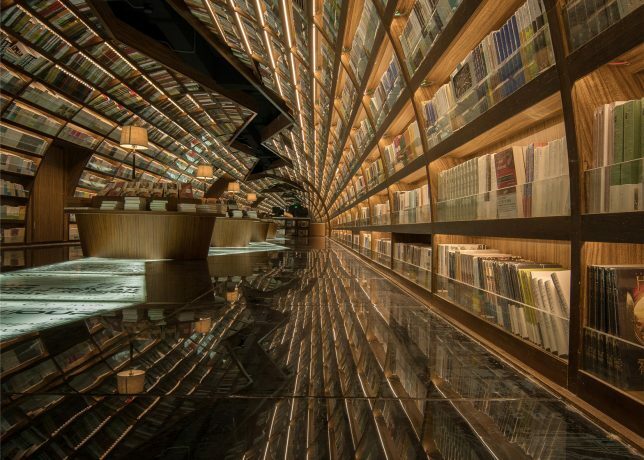 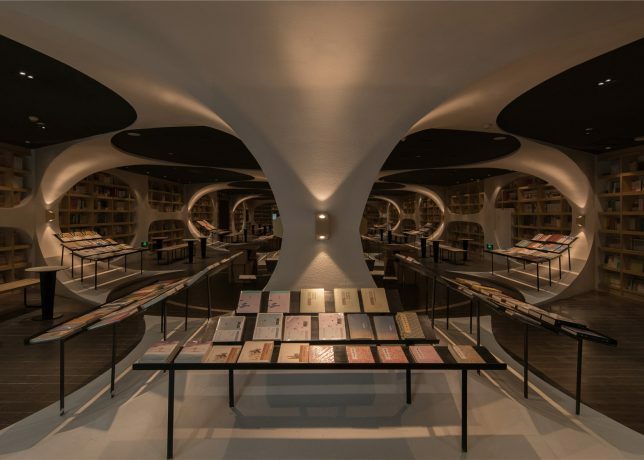 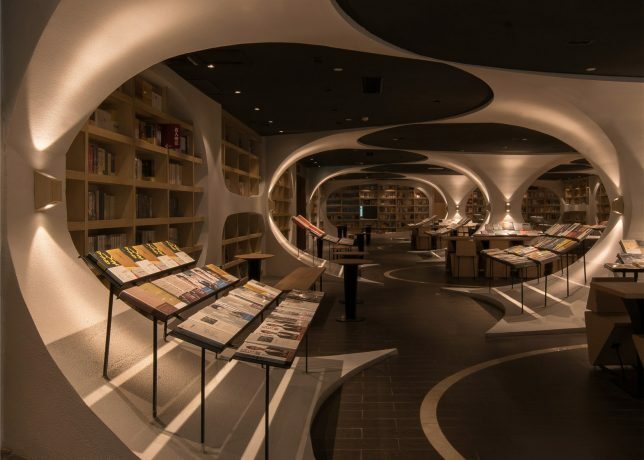 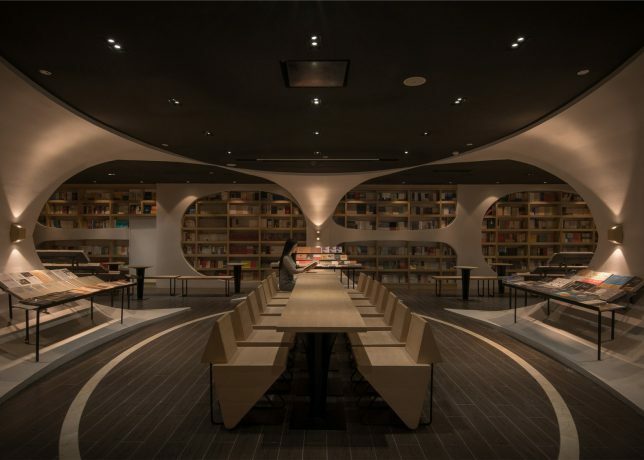 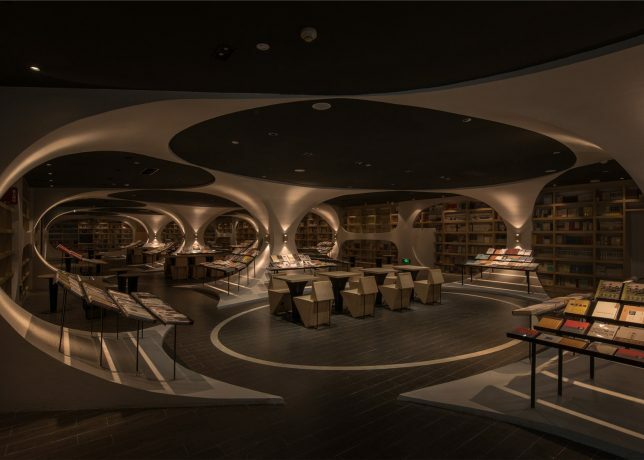 Designed by Shanghai studio XL-Muse (images Shao Feng), these floor-to-ceiling shelves in the Yangzhou Zhongshuge bookshop drew inspiration from the winding and reflective Zhen Yuan river nearby, as well as the area’s arched bridges. 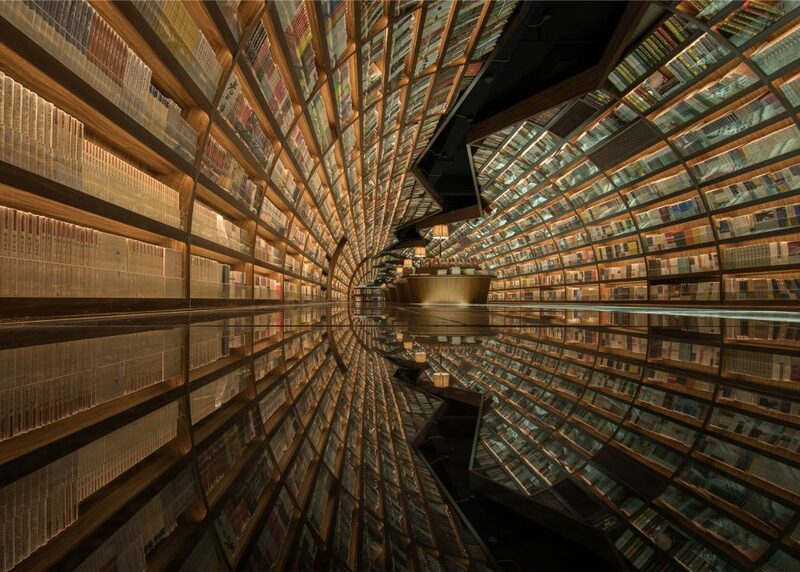 The tunnel opens up into a vast library-worth realm of further reading in the cavernous interior, with architectural elements echoing the arches of the entry corridor. 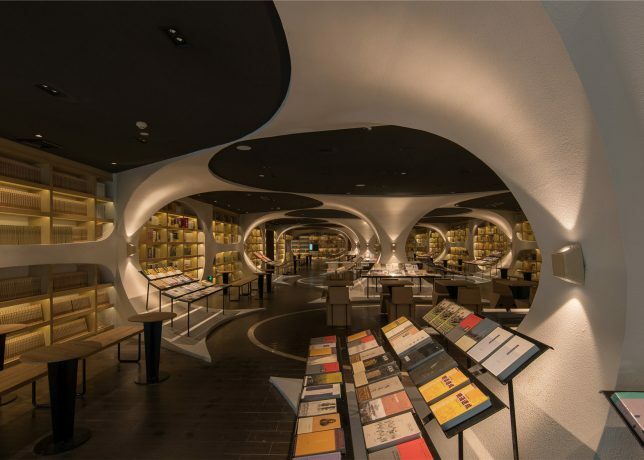 The rounded-and-arched theme is carried through in thin pillars and sloping displays. 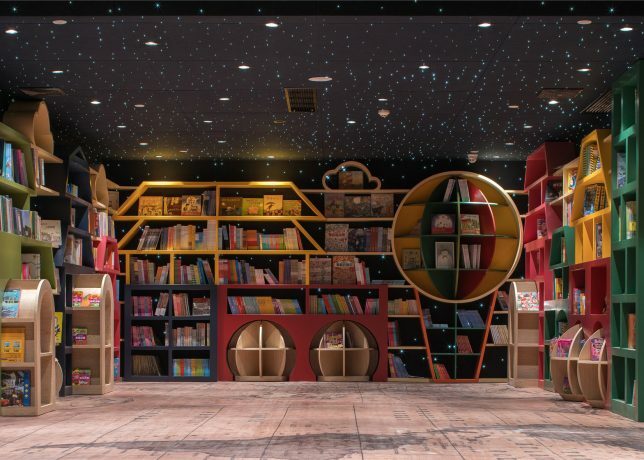 Additional interior design dimensions come into play in themed reading spaces for children and adults, with starry ceilings and other humanizing elements. 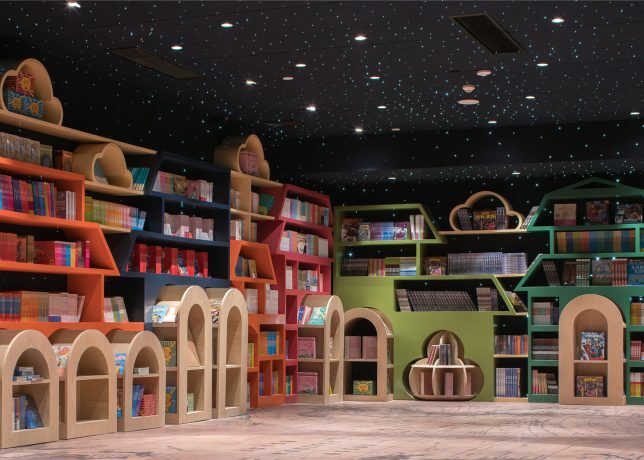 Here, furniture colors and shapes soften these spaces and make them more comfortable and inviting for longer-term occupation.